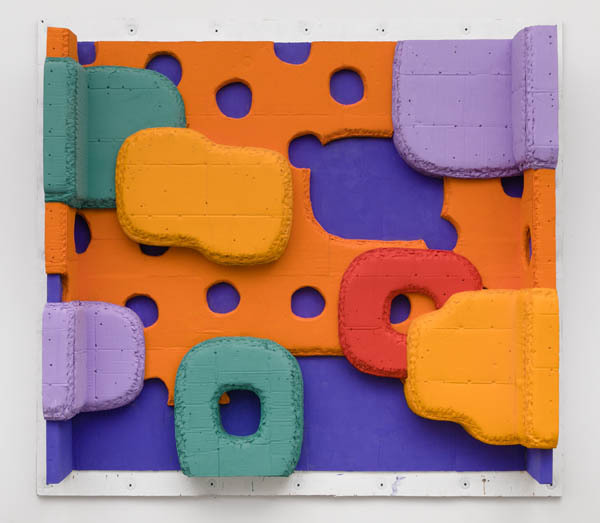 Phong Bui interviews painter Guy Goodwin whose exhibition Grotto Relief was recently on view at Brennan & Griffin, New York. Goodwin remarks: "The relationship I’ve developed with my color, which takes a day or two to dry, is the biggest step I’ve taken in my life as an artist. The miraculous thing is that when the color dries, it gets lighter and brighter. Especially when you stand in front and close to them, the paintings indulge you as though you’re inspired to take the biggest breath you can. They really echo and enhance each other, which hadn’t happened with such naturalness before in my work. They all seem to be somewhat decorative and artificial like the color of a child’s room or a fast food restaurant, which was the very thing I had tried to avoid most in my life. Yet, this feeling of color and form really make sense together in a way I haven’t experienced before."